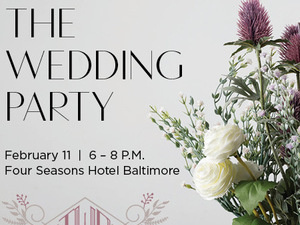 Before you walk down the aisle, we invite you to take a walk through the world of weddings with Baltimore Weddings. Your special day should be a seamless, stress-free memory, and we want to provide you with the right tips to ensure that your day is nothing short of perfect. This is not your typical Bridal Expo. Instead, our six-showroom arrangement will simulate the most crucial moments of your wedding day and provide services that will help you prepare!